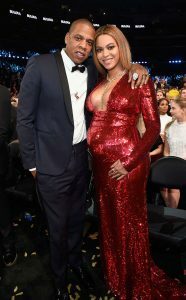 Beyonce and Jay Z welcomes twins – Royal Times of Nigeria. Music power couples Beyonce and Jay Z have welcomed their twins. Although the couple are yet to make any statement confirming the birth of their new children but multiple sources including Beyonce’s dad, Matthew Knowles have revealed that the babies are here. The genders of the twins are yet unknown but going by the colours on the balloons delivered to their Los Angeles hospital by an unidentified lady on Friday, it is safe to say the Carters have welcomed a boy and a girl.